Ulyana Lopatkina (Rus. Ульяна Лопаткина) and Marat Shemiunov (Rus. Марат Шемиунов) in Thais, music by Jules Massenet, choreography by Roland Petit. Shot on 2014.09.27, State Kremlin Palace, Kremlin Gala: The Ballet Stars of 21.th Century. Jules Émile Frédéric Massenet (1842 – 1912), a French composer, was a fluent and skilful orchestrator, and willingly provided ballet episodes for his operas, incidental music for plays, and a one-act stand-alone ballet for Vienna (Le carillon, 1892). 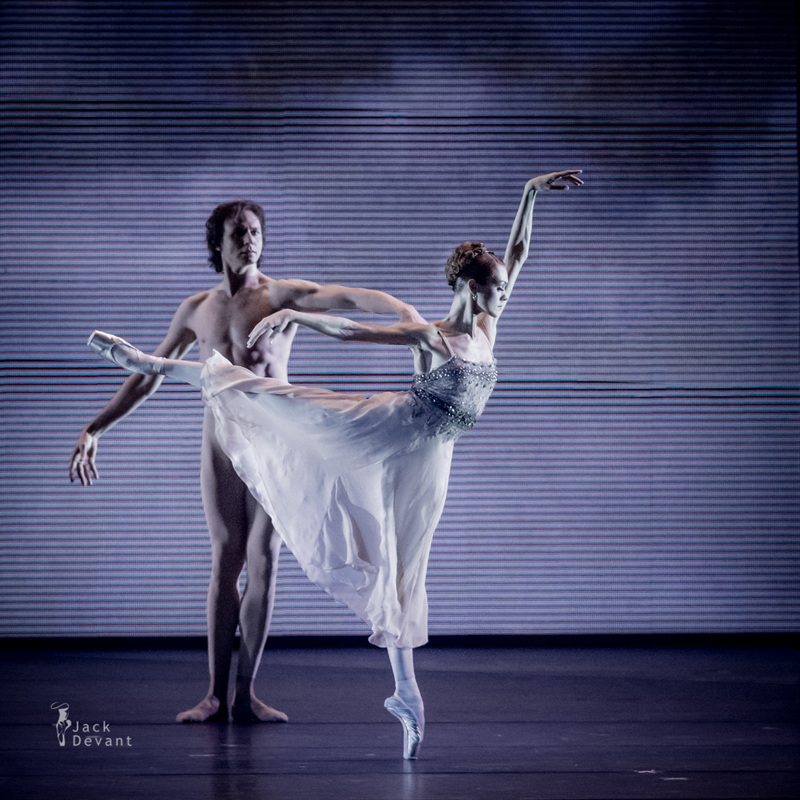 Macdonald remarks that Massenet’s orchestral style resembled that of Delibes, “with its graceful movement and bewitching colour”, which was highly suited to classical French ballet. The Méditation for solo violin and orchestra, from Thaïs, is possibly the best known non-vocal piece by Massenet, and appears on many recordings. Ulyana Lopatkina (written also Uliana; Rus. 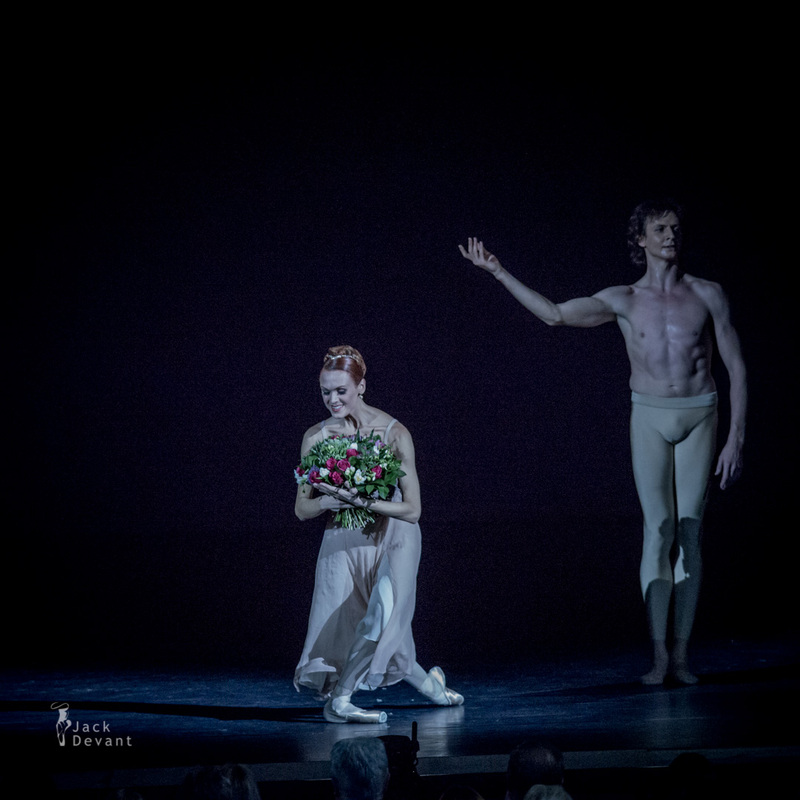 Ульяна Лопаткина) is prima ballerina with Mariinsky Ballet, St. Peterburg, Russia. Ulyana was born on 23th of October 1973 in Kerch (Ukraine). From the early age Ulyana took dancing classes and was admitted to the Academy of Russian Ballet named after Vaganova (St.Petersburg) where she studied the art of dancing from Galina Novitskaya in primary school and Natalia Dudinskaya in higher school. Still being a student of the Academy, Uliana took won at Vaganova-prix Competition (St.Petersburg, 1991). After graduation from the Academy in 1991 Ulyana joined Mariinsky theatre company (St.Petersburg). In 1994 Ulyana successfully made her debut as Odette/Odille in the “Swan Lake” ballet in St.Petersburg, for which she was awarded with “Golden Sofit” as best debut in St.Petersburg. In 1995 Ulyana was called the principal dancer of Mariinsky theatre where her teachers were Olga Moiseeva and Ninel Kurgapkina. Presently Ulyana’s coach is Irina Chistyakova. Marat Shemiunov (Rus. 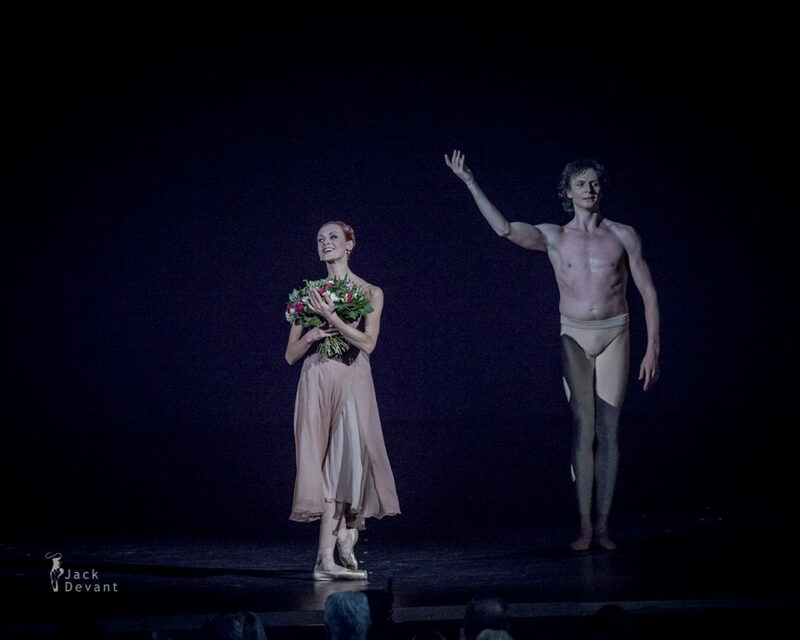 Марат Шемиунов) is principal danseur with Mikhailovsky Theatre, St Patersburg. He was born in Leningrad (St Petersburg) in 1983, he graduated from the Vaganova Academy of Russian Ballet (class of professor Yury Tsvetkov) in 2001 and the same year joined the Mikhailovsky Theatre in 2001. Roland Petit (1924 – 2011) was a French ballet company director, choreographer and dancer. He trained at the Paris Opéra Ballet school, and became well known for his creative ballets. The creator of more than 50 ballets across all genres, he choreographed for a plethora of famed international dancers. He refused the free technical effects; he did not stop reinventing his style, language, and became a master in the arts of pas de deux and of narrative ballet, but he succeeded also in abstract ballets. Photo by Jack Devant ballet photography © with kind permission of the State Kremlin Palace and ms. Anastasia Kulikova, special thanks Konstantin Yaroshevsky.